This Work at Height training course helps you to comply with the Work at Height Regulations 2005 by providing employers and employees with the necessary information needed to be able to successfully deal with working at height risks and control measures. This includes an understanding of how to undertake a working at height risk assessment, how to use access equipment safely and how to ensure that employees can reduce their risk of falls from height. 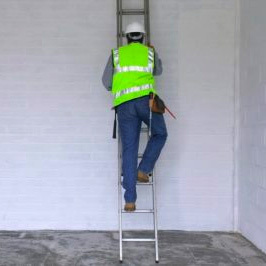 Cambridge Risk Management Ltd can carry out your Working at Height Risk Assessment on your behalf. Our team of experts are highly competent and fully trained in all aspects of Health and Safety Consultancy. The risks posed by falls in your business must be thoroughly assessed and specific precautions put into place where it is possible for anyone to fall a distance liable to cause personal injury. Ensure work is properly planned and safely carried out. Falls are a common problem not only in the construction and the transport sector, but for any business whose activities involve working on ladders, scaffolding, roofs, etc. For more information about our Working at Height Risk Assessment service, please complete our quick contact form in the blue box and one of our consultants will be in touch. Who Should Take This Working at Heights Course? The law on work at height requires that you take account of your risk assessment in organising and planning work. Be regularly reviewed as necessary. If you would like more information please complete our quick contact form in the blue box. Alternatively, click here to visit our contacts page to speak to one of our consultants directly.